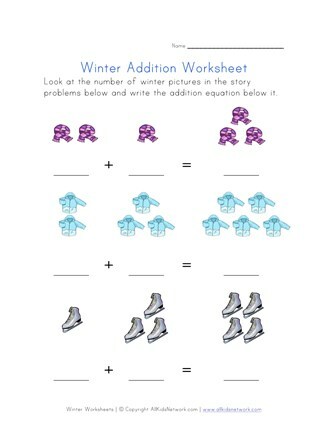 This worksheet is designed to help kids practice the basic math skill of addition. 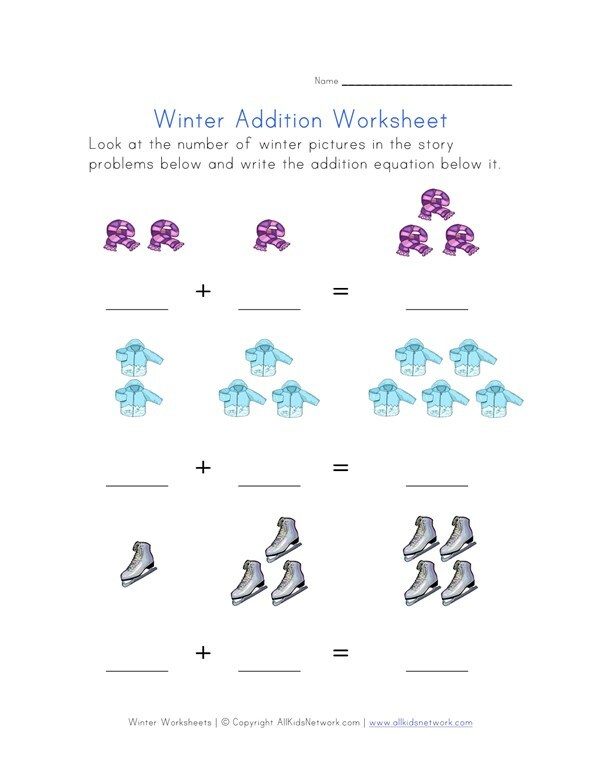 Kids are asked to look at the number of winter themed pictures in the story problems on each row and write the addition equation below it. This is a simple worksheet for kids and all they have to do is be able to count and it will teach them how to add and write basic equations.